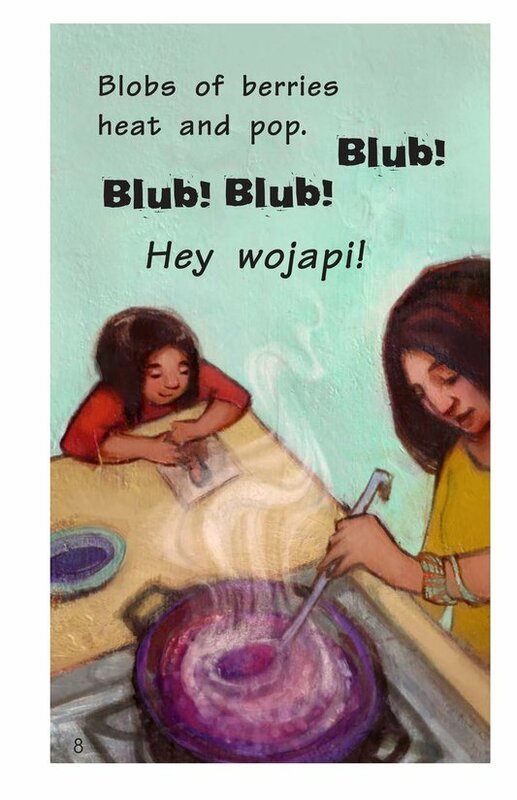 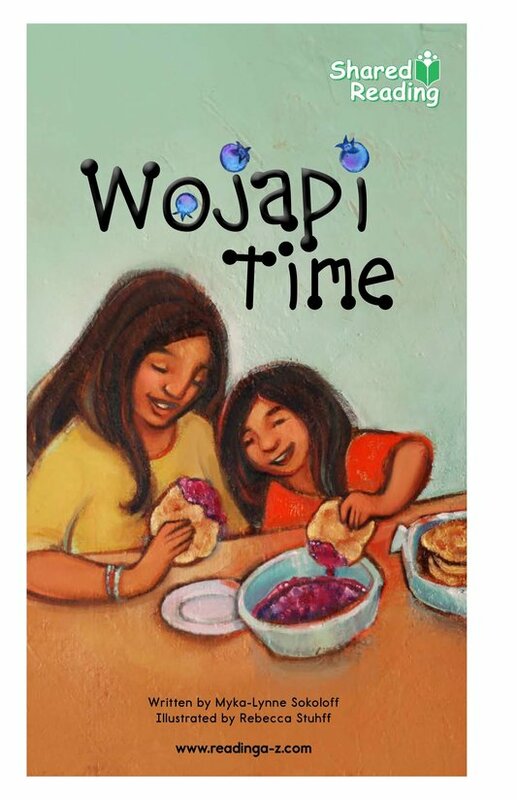 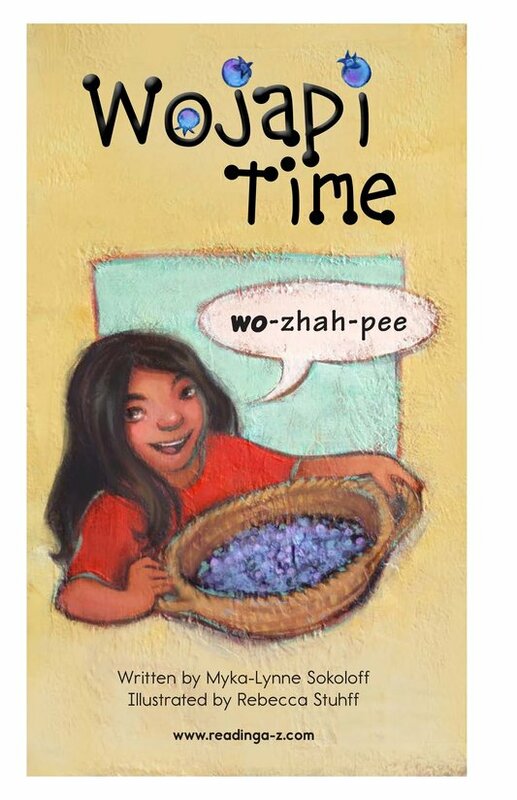 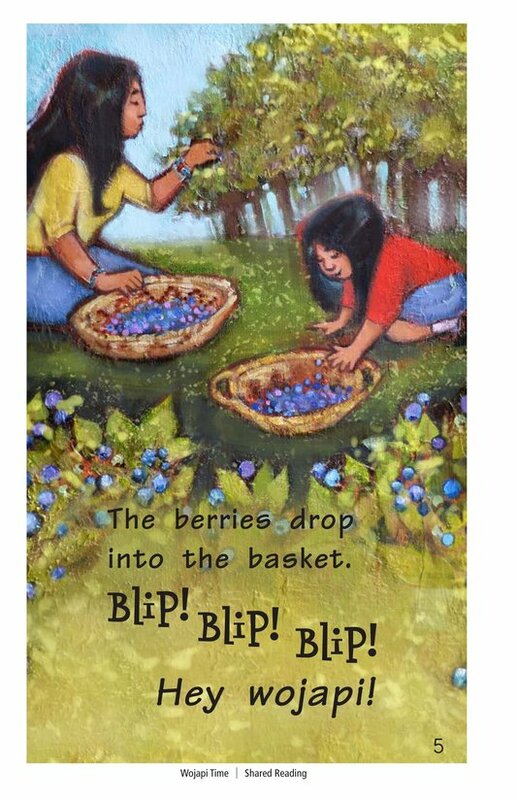 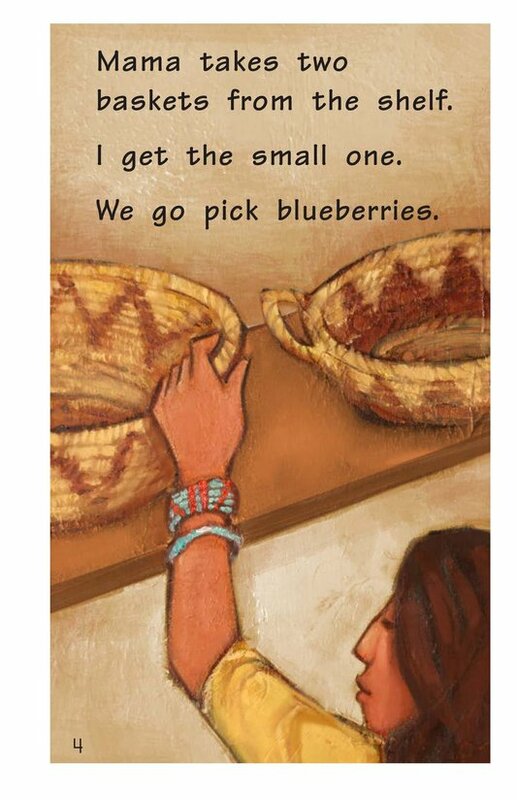 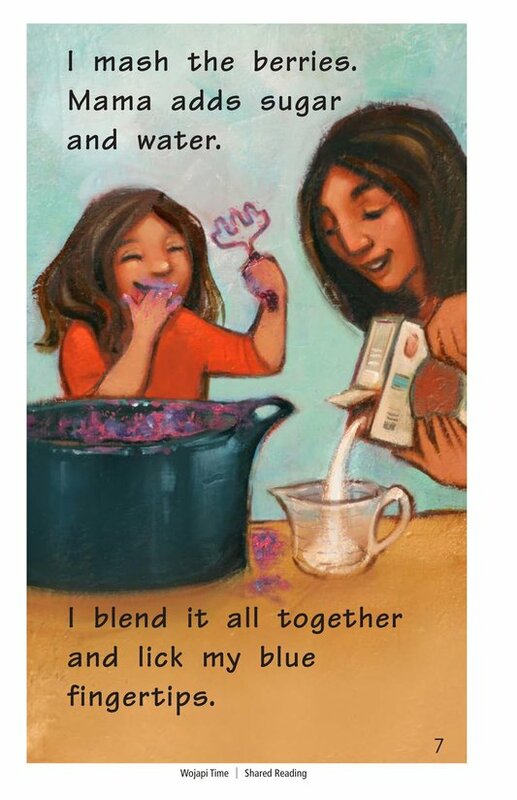 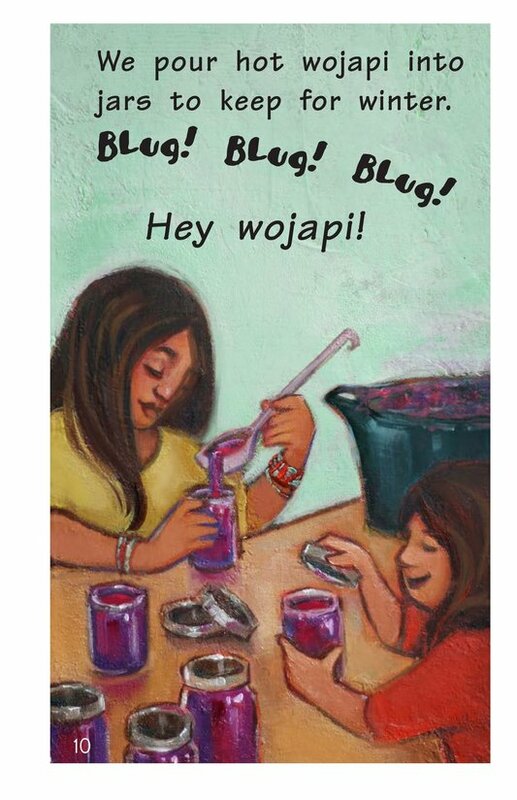 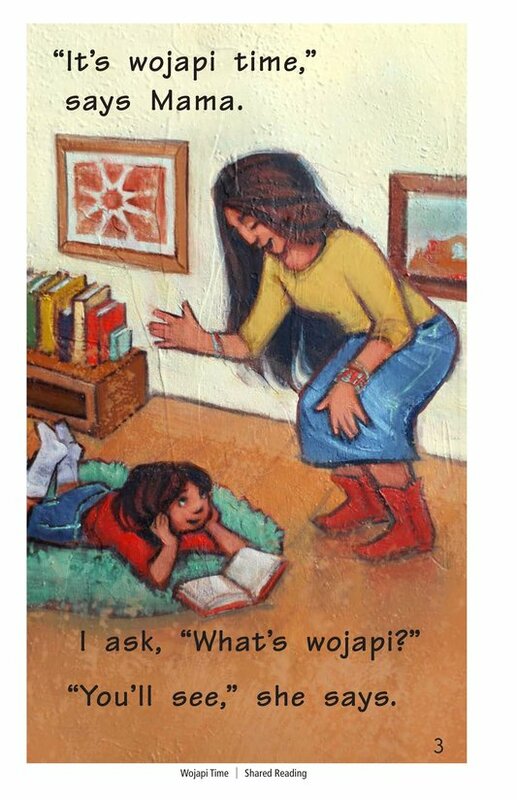 A girl's mother tells her it's “wojapi time.” The girl and her mother gather blueberries. 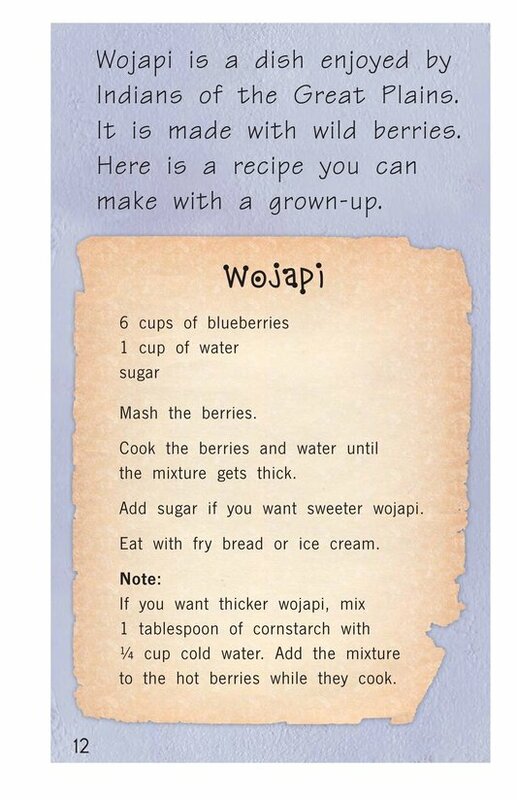 Then they make wojapi, in the same way that the girl's mother, grandmother, and great-grandmother learned to make it when they were young. 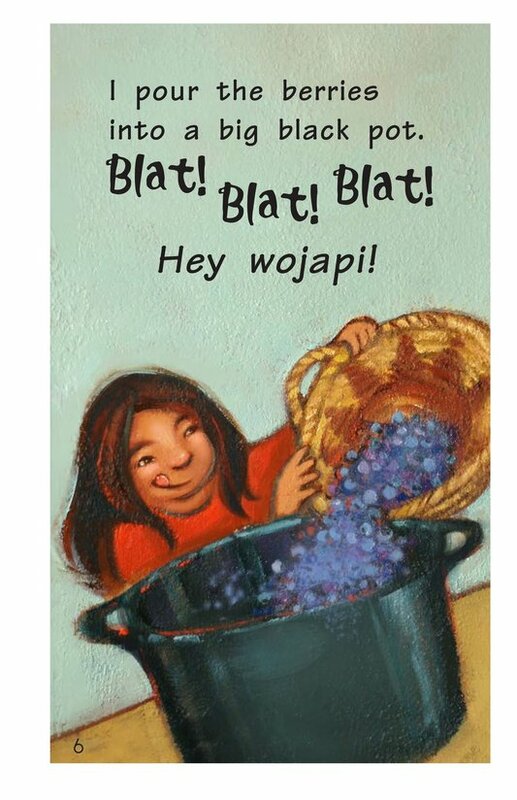 When the wojapi is ready, the girl and her mother pour some into jars to keep for winter. 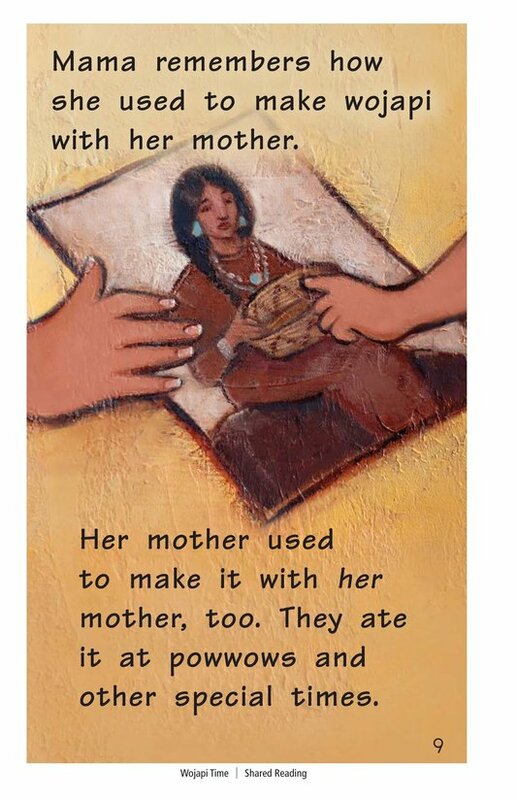 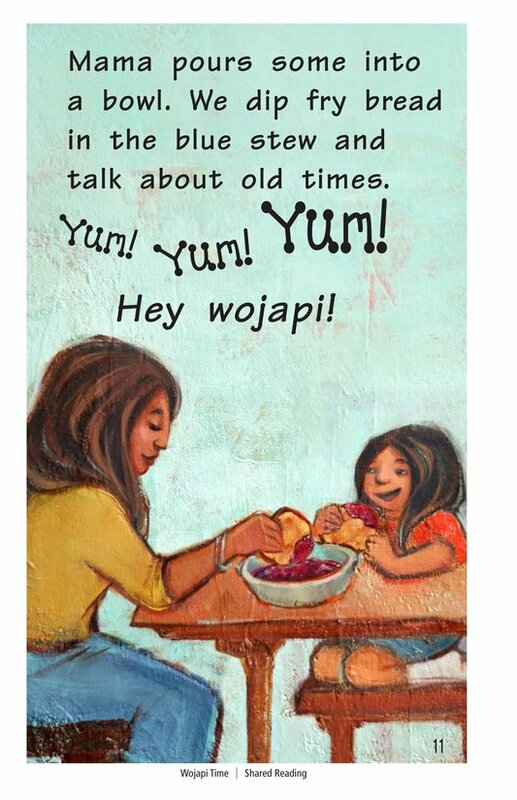 Then they dip some fry bread into a bowl of blue wojapi as they talk about old times.